This is chili with a Cincinnati twist. Cincinnati Chili is made with ground meat, tomato sauce and an unusual blend of spices, but it also includes cocoa, coffee and chocolate. 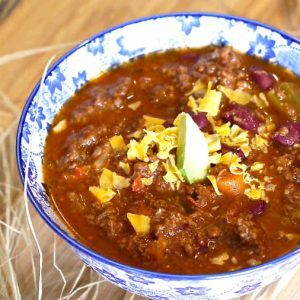 You may be surprised, but the cocoa and coffee boost the meaty flavour to another level without being overpowering, and the chocolate adds a little sweetness making this chili just perfect. 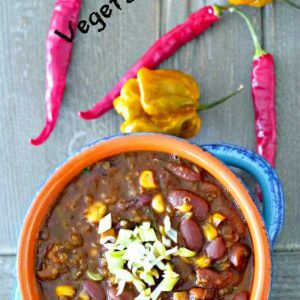 I have also added my personal flair to this amazing chili which includes bacon for that smokey flavour and black beans with corn. 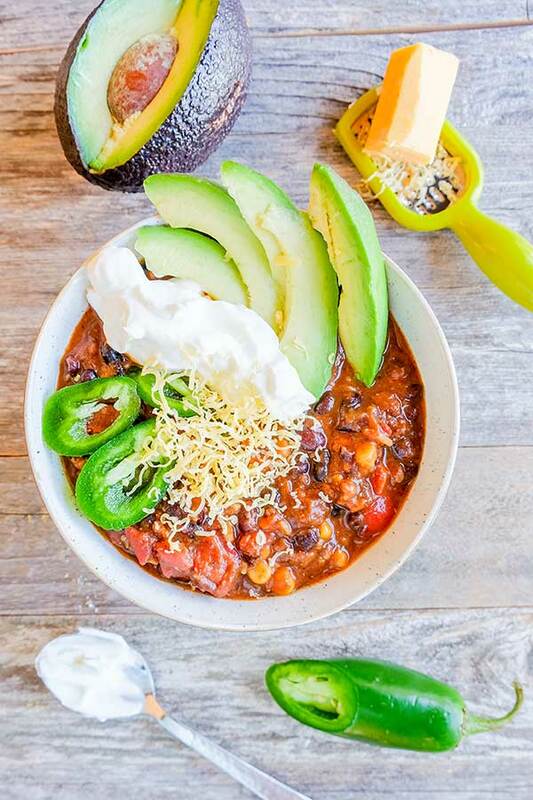 Chili is such a versatile dish, don’t you agree? You can serve it in a bowl just as is with your favourite toppings, or my favourite way to serve the chili is in a baked sweet potato, squash or over mashed potatoes. It’s cozy, comforting food that goes with just about anything, even over pasta. And let’s not forget, the chili is always better the next day or the day after. 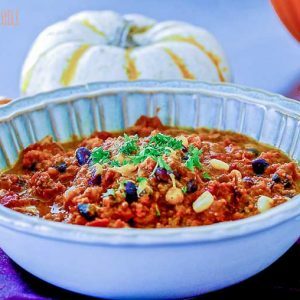 Nothing beats a slowly simmered chili in November. Add tomato sauce, coffee, beef broth and black beans, stir well and bring to a boil. Reduce the heat and simmer partially covered, stirring occasionally for 1 hour. Add the corn and lime juice and cook for 5 more minutes. Stir in the chocolate until melted. Enjoy!